Share unrelated electronics stuff, ideas, rants, etc! 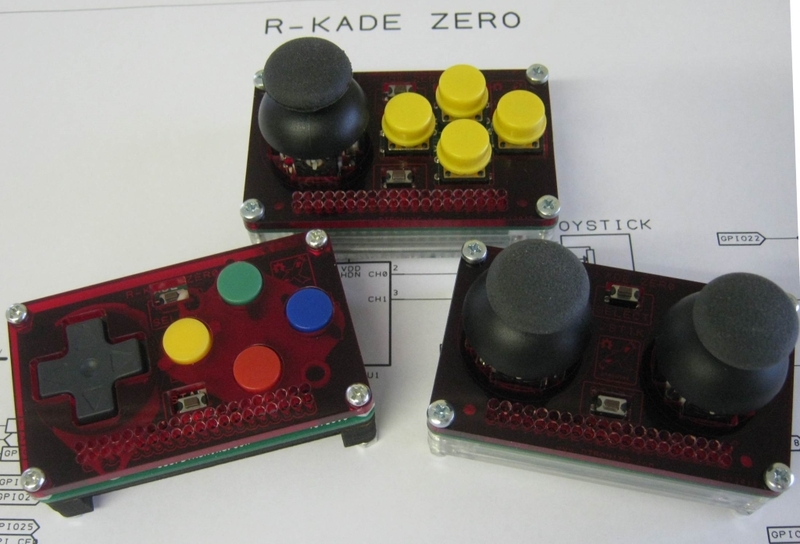 As well as building the Uzebox, I've also built a number of Raspberry Pi based arcade systems over the last few years starting in 2012 with R-Kade, last year with R-Kade Mini and now my latest endeavour is R-Kade Zero, a powerful video gaming system which fits into the palm of your hand. After showing it off at Maker Space my local maker community, I got enough encouragement to start it as my very first kickstarter project. It's actually a pretty nice idea there. When Doom is heavily used to promote the device in a video, I feel like I am the target market; something my insane world views and specialty interests rarely afford me. That right there makes becoming a 1st time backer of anything quite tempting. D3thAdd3r wrote: It's actually a pretty nice idea there. D3thAdd3r wrote: When Doom is heavily used to promote the device in a video, I feel like I am the target market; something my insane world views and specialty interests rarely afford me. That right there makes becoming a 1st time backer of anything quite tempting. wasn't my intention, I just like Doom . Hey, that's one of the best use of the pi zero I've seen so far! !